When someone close to us dies, emotions are difficult enough…imagine if then, on top, you couldn’t ‘say goodbye’ in the way that would honour them and bring comfort to the grieving. That is the situation for many Christians when they are a minority in their own country. When 70-year-old Amar died last week [30 Oct] after a week in an Algerian hospital, his children gathered to mourn and discussed funeral arrangements with one of their church’s pastors. The family, from a village outside the northern city of Tizi-Ouzou, the main city in the Kabylie region, decided to give him a Christian funeral. Two of his sons and one of his daughters had, like their father, become Christians and been baptised in a local church. A high number of conversions has been recorded in Tizi-Ouzou despite Algerian Christians complaining of systematic discrimination. The Kabylie region is home to most of members of the tiny, but fast-growing Christian minority in Algeria, with more than 20 churches of the 43 aﬃliated to the Protestant Church of Algeria (EPA), the largest ‘umbrella’ grouping of Christians in the country. So Amar’s family decided against the Islamic death rites. Usually a vigil takes place in the home of the dead person. People gather to sing and mourn all night, appealing to Allah and Muhammad to welcome their loved one (whose body should also be washed while religious songs are sung) into paradise. Although Amar’s family had decided to break from Islamic traditions, they still wanted their father’s body to be washed, and a number of Christians volunteered to do so. The next day, the day of the funeral, the village imam and some of his acolytes, along with an older member of the community, visited the family. The imam threatened ostracism from the rest of the village if they did not reverse their decision, and urged the villagers to put pressure on the family. This incident is not a one-off. 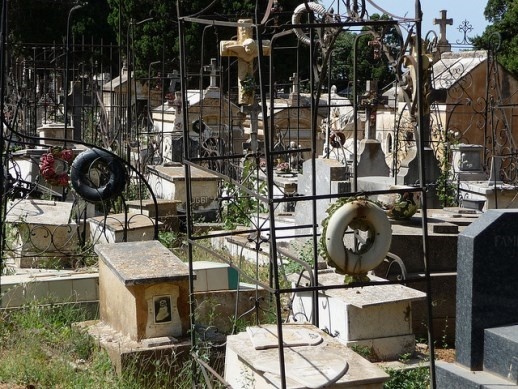 In many Algerian communities, relatives’ efforts to secure a Christian burial have become a source of conﬂict with local Muslims. Christians complain that the authorities’ refusal to intervene in such disputes is discrimination against them. Christians welcomed the passage in February of a new Constitution that recognised freedom of worship “within the boundaries of law”. But there have already been instances in which authorities have continued to apply the 2006 law which strictly regulates non-Muslim worship and have ordered the closure of a church. Two months ago the EPA asked the UN to urge the Algerian authorities to grant greater rights and freedoms to the country’s Christian minority. The group said that they wanted a law banning them from evangelism repealed, and the prohibition on marrying non-Muslim foreigners lifted. Algeria is 37th of the 50 most difficult countries in which to live as a Christian, according to the World Watch List produced by Open Doors International, which works with Christians worldwide under pressure for their faith.